A team of Tasmanian researchers has uncovered rare, living stromatolites deep within the Tasmanian Wilderness World Heritage Area. Stromatolites are layered mounds, columns, and sheet-like sedimentary rocks. They were originally formed by the growth of layer upon layer of cyanobacteria, the simplest form of modern carbon-based life -a single-celled photosynthesizing microbe that lacks a DNA-packaging nucleus. 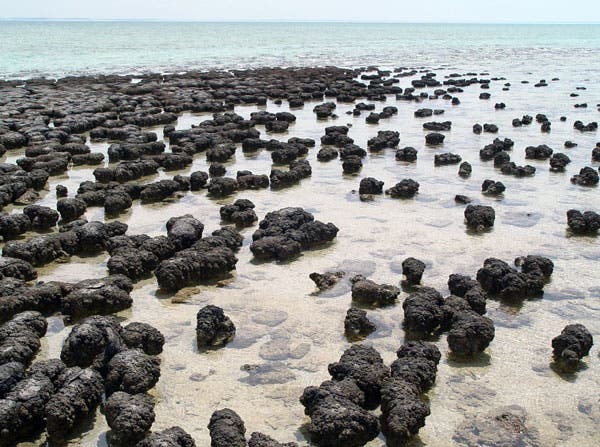 "Fossil stromatolites are the oldest evidence for life on Earth – they first appeared 3.7 billion years ago!," said Bernadette Proemse with the University of Tasmania. The discovery provides clues why they thrived for millions of years but then virtually disappeared from all but a few exceptional places on earth. "The discovery reveals a unique and unexpected ecosystem in a remote valley in the state's south west," Proemse said. "The ecosystem has developed around spring mounds where mineral-rich groundwater is forced to the surface by geological structures in underlying limestone rocks. 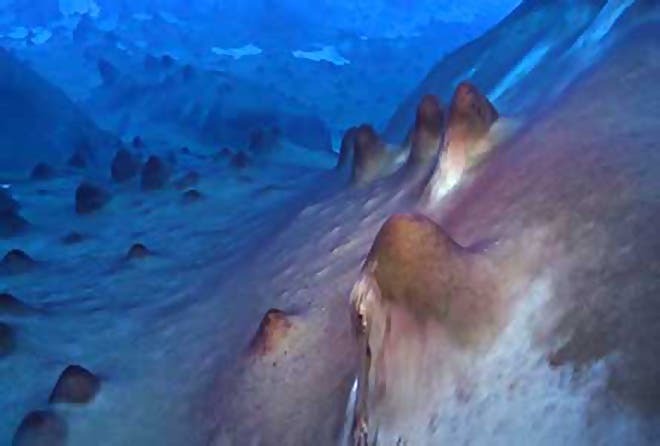 The find has proved doubly interesting, because closer examination revealed that these spring mounds were partly built of living stromatolites." Roland Eberhard from DPIPWE's Natural and Cultural Heritage Division said stromatolites are rare, because more advanced life forms such as aquatic snails feed on the micro-organisms required to form them. "The discovery of living stromatolites in Tasmania is highly significant because stromatolites are rare globally and not previously known from Tasmania except as ancient fossils," Eberhard said. "DNA analysis indicates that the Tasmanian stromatolites are micro-organism communities which differ from all other known stromatolites." "This is good for stromatolites because it means there are very few living snails to eat them. Fortuitously, these Tasmanian 'living fossils' are protected by the World Heritage Area and the sheer remoteness of the spring mounds," Proemse said. Further surveys are planned to assess whether spring mounds and stromatolites occur at other sites in the World Heritage Area. The image at the top of the page shows stromatolites in the Antarctic's Lake Untersee.